A household move involves a lot of important decisions, and whether you are going to handle everything on your own or hire professional movers NYC is just one of them. As it turns out, your budget will mostly determine your moving-related choices. A self-move includes a lot of tasks to handle, calculations to make and a lot of hidden risks and dangerous situations, especially if you are moving to another state. On the other hand, if you decide to entrust each task to a professional moving company you can rest assured that they will have everything under control and make your household relocation easier. Long-distance moves proved to be a real challenge due to some special regulations and conditions, therefore a professional help is more than welcome in this case. 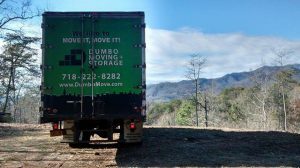 Full-service movers – what do they do? Full service movers are able to provide a perfectly organized and performed household move by taking care of every tiny detail of your relocation. Knowing that you can completely rely on professionals who will guide you through the moving process is priceless. Speaking of the price, such a comprehensive service usually costs a lot of money, and now you are about to find out why it will eventually pay off. In most cases you will get what you paid for. However, the only way to obtain an accurate moving estimate is by letting the chosen moving company assess your belongings and issue a quote. – No heavy lifting. The movers will be doing all the hard work, while you can run your personal errands. As a result, you will not experience the usual stress that accompanies household moves and you won’t be going through the trouble of lifting heavy household items. – Since your movers have performed thousands of similar moves, they are properly trained and you can rest assured that each aspect of the move will be handled accurately and efficiently. – Full-service movers will save you a lot of time and you don’t need to live in chaos while the household items are being packed. By leaving the entire process to a moving company you can spend your time the way you like. – By doing all complicated and demanding moving tasks your movers will keep you safe from injuries and possible risky situations. – Your household goods will be packed with the utmost care so you can be confident that your valuables will reach the new destination safe and sound. – Full-service movers may help you save some money in the long run, although the cost of those services may be holding you back from hiring them. If you are ready to let someone else handle everything you own and take control over the entire moving process hiring full-service movers is the best thing you can do. However, if you prefer doing things in a particular way at your own pace, you should think twice whether it is a good idea to hire full-service moving company. Your final decision will depend on the moving budget as well, so research carefully moving companies in order to get the most suitable offer.